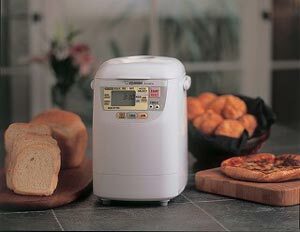 Zojirushi Home Bakery Mini breadmaker can be enjoyed 7 days a week. What’s more, its 1 pound loaf is the perfect size for smaller households to savor the taste of freshly baked bread every day without waste. Its compact and slim design makes the Home Bakery Mini ideal for kitchens with limited countertop space. For versatility and ease-of-use that’s always in great taste, think Zojirushi. Until breadmakers were invented, baking bread at home was not the easiest thing to do. It was time consuming and easy to make mistakes during the process. 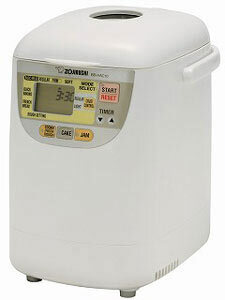 Today, Zojirushi breadmakers can do it almost automatically, but the warmth and the aroma of the bread as it fills your house are virtually the same as it was centuries ago. The technology may be new, but the anticipation of eating freshly baked bread never gets old. This machine has three bread textures that you can choose, Regular, Firm or Soft. It also has regular and light crust control. Another new feature unique to this model is the cookie/pasta dough setting to prepare homemade cookies and pasta. The Quick baking cycle prepares breads in under 2 hours. Menu settings include Basic bread (regular, firm), soft, French, dough, cookie/pasta dough, cake, jam and quick bread. There is a view window on the lid to watch the baking process. This unit has a 13 hour delay timer and includes an easy-to-follow instruction video, manual and recipe booklet. The Home Bakery Mini makes it easy to prepare a wide variety of breads, cakes, and fresh fruit jams as well as dough for rolls, croissants, pizza, pasta, cookies and more. It also has settings for French bread, dough, cake and jam. Breads, cakes and other menu options are pre-programmed. Don’t sweat over the stove stirring the pot; the Home Bakery will do it for you automatically. Enjoy preservatives and additive free jam all year round. Prepares dough for you to shape and bake in the oven. 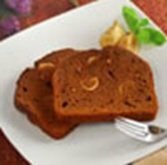 Enjoy fun recipes such as pizza, bagels, brioche, pretzels, doughnuts and cinnamon rolls. 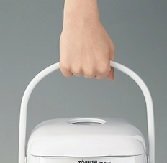 The BB-HAC10 Mini Breadmaker makes a 1-pound loaf ideal for singles and smaller families with three bread textures to choose from. The quick baking cycle prepares breads in under 2 hours using your own fresh ingredients. The kneading blade is an especially important part of the breadmaker. Make sure the blade is properly attached. Next, measure ingredients accurately. The more accurate the measurements are, the better the finished bread will be. Rough measurements will result in rough bread. Finally, make sure to choose the right course setting for your perfect loaf of bread. The bread maker provides two blades for thorough dough kneading and a higher rise that bakes a large traditional rectangular shaped 1 lb. loaf.